Today was a very productive day and I’m pleased with how much we were able to accomplish. This evening we ran errands, visiting Wal-Mart, Best Buy, the toy store, and Serial Knitters. When you ask adoptive parents for suggestions of activities to do at the hotel in country, one of the most often recommended suggestions is Uno. 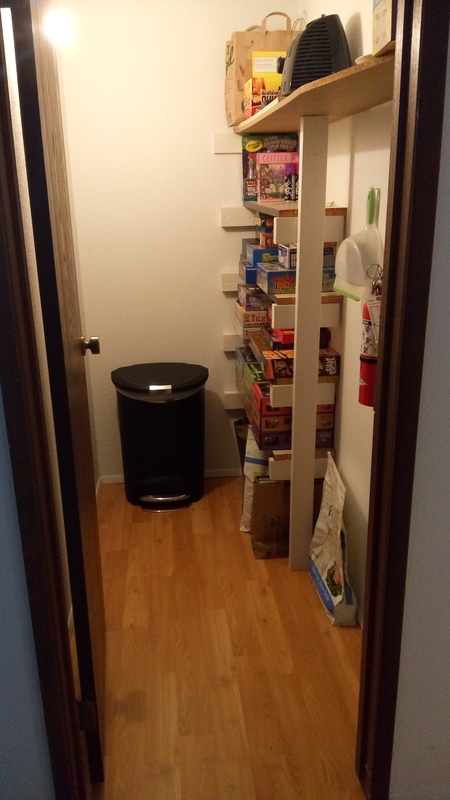 Today I went through all of our games and discovered we don’t own it! My husband and I prefer Eurostyle board games over card games. But Uno is supposed to be a fantastic game to play with a child who does not yet speak much English. While at the mall, we discovered that the toy store opened today. Look what we found! 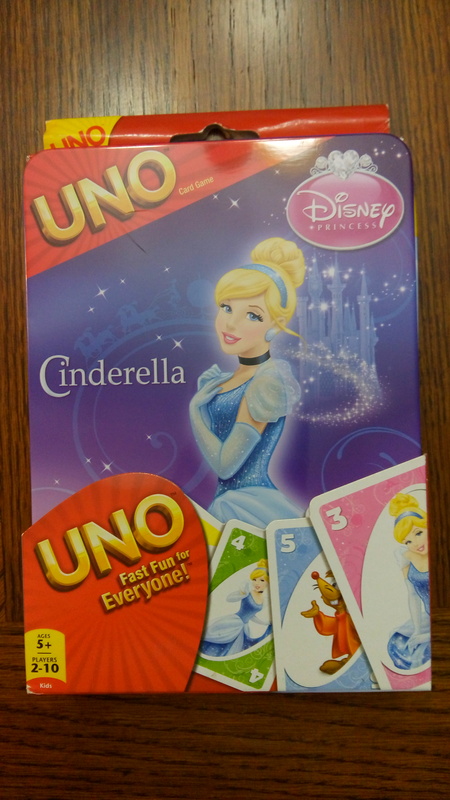 I have never seen Cinderella Uno before but I think it looks like a lot of fun. I hope our daughter likes Cinderella! 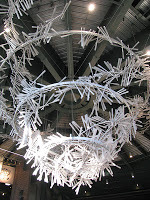 I want to take a knitting project with me to Taiwan. 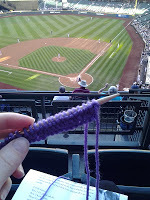 I can knit while waiting at the airport, while on the flight, at the hotel, waiting for our AIT appointment… it’s such a portable form of pleasure and doesn’t require that I stay glued to my phone. 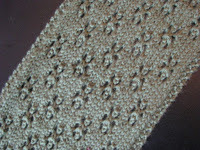 This is the scarf pattern I picked out. 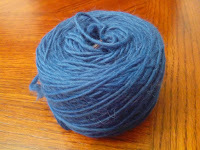 And the yarn to complete it. I have several projects in progress already but don’t want to take those to Taiwan with me. 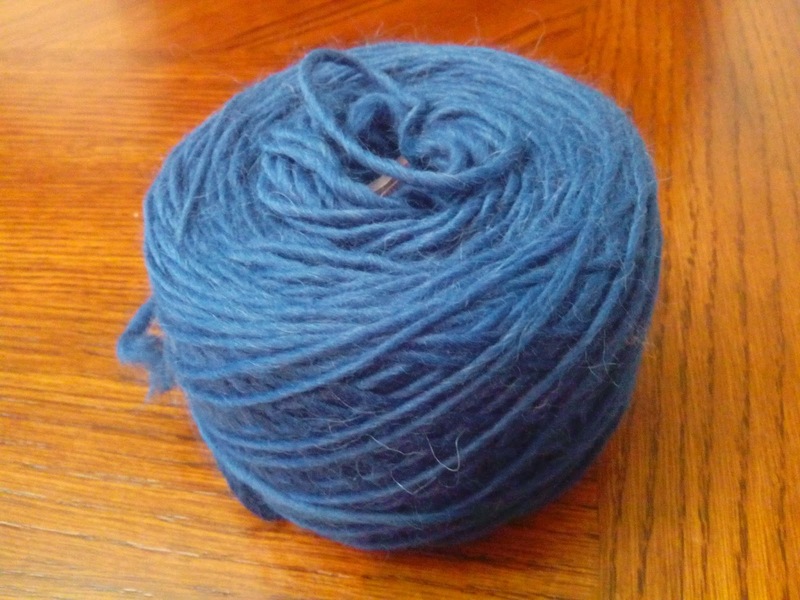 For one, I don’t want to lose a knitting project that is supposed to be a gift. For another, I wanted to work on something that I can give my daughter if she is intrigued by what I am doing. As all of my mid-process projects are gifts for others, I needed something new to work on. 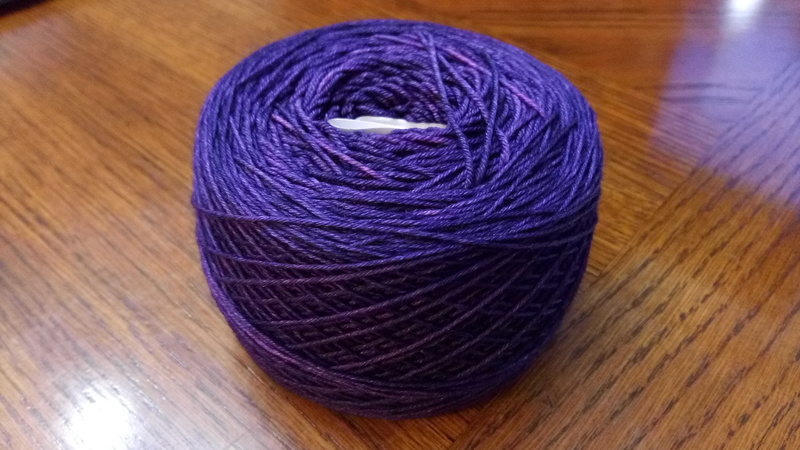 And honestly, I’m happy for an excuse to go yarn shopping! 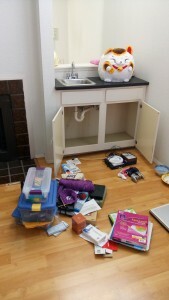 My other big project today was several more areas of cleaning. 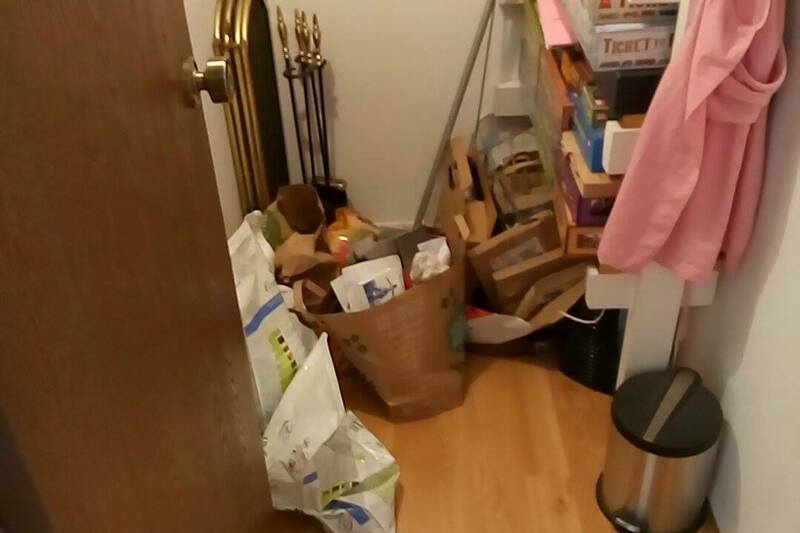 I’m going to give full disclosure here – my pantry was a MESS. 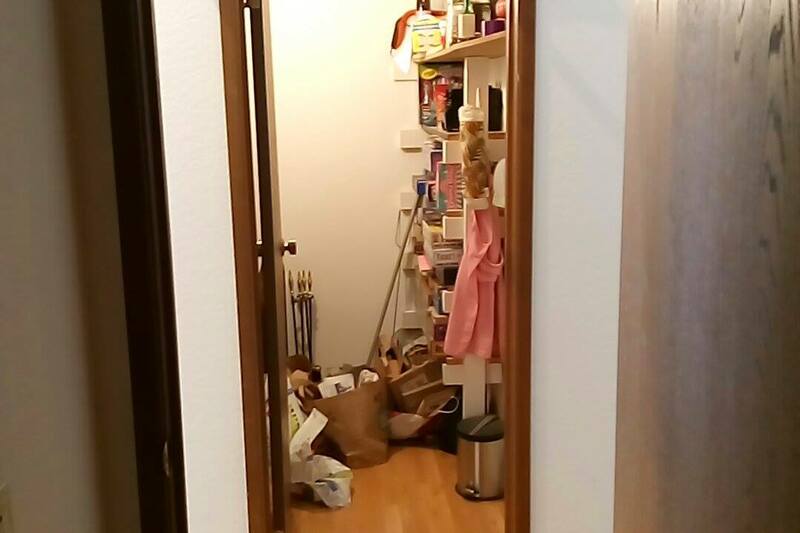 For the past three years, we’ve had a trash bag hanging on the back of the pantry door. 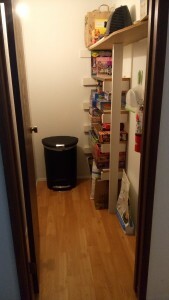 About a week ago, we finally bought a full sized trash can but obviously had no where to put it. 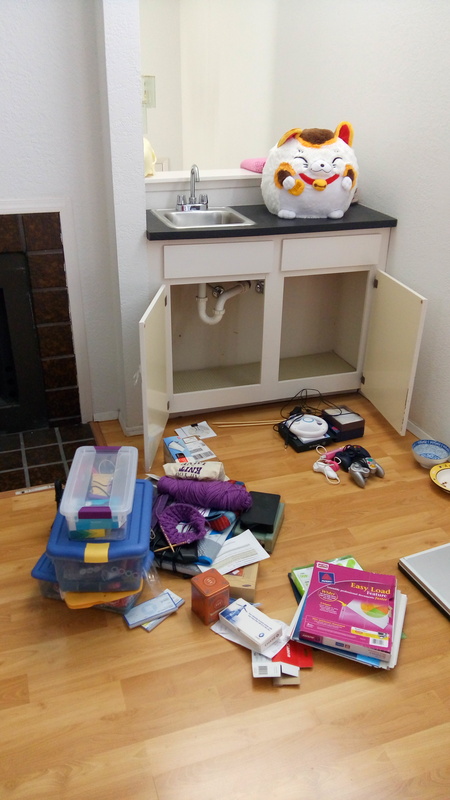 This mess was ridiculous and embarrassing and I was determined to finally fix it. Under this sink has been a catch-all for ages. I pulled everything out, got rid of a few things, organized what was left, and stacked it all back inside. 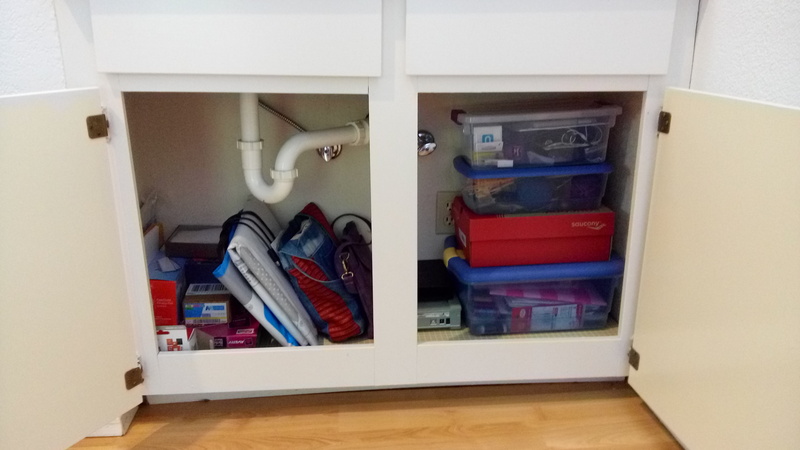 It’s still a catch-all, but at least it’s an organized catch-all. 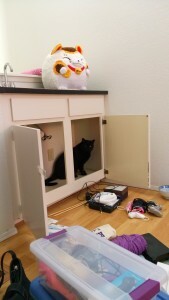 Bruno has to help any time I open drawers or cabinets! 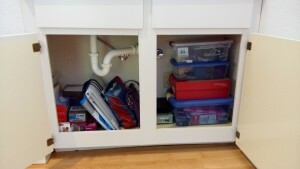 I’m not sure this looks much better at a glance, but I can now find things in there. Woohoo!! Tomorrow I have to follow up about my prescription sunglasses. They were supposed to be available last Friday but still aren’t in yet. 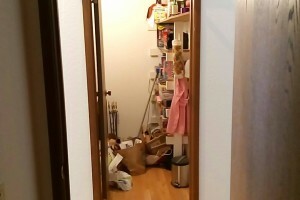 I also have to buy groceries and might visit the bank to talk about travel and debit cards. I’m not sure what else is on my agenda but my to-do list is still pretty long. Cin-Ru’s hat is finished and ready to go. I love this pattern and am seriously considering knitting myself one in purple. That way we have matching hats! We are going to send it in her birthday care package in April. Yes, I know April in Taiwan is not winter hat weather. But I still hope she’ll appreciate the gesture that her future mom knit her something special. DTT – Dossier to Taiwan!! All adoption programs have a multitude of acronyms. China has this special one called DTC, or Dossier to China. I am thieving their acronym to say that we are officially DTT! Our dossier is currently en route to Taiwan. It will arrive just as the adoption agency reopens after Chinese New Year. We are still waiting on a few things. The mayor to sign off on our girl’s adoption paperwork. The Taiwan agency to finish writing their analysis of us, our girl, our interactions on Skype, etc. Then we’re off to court! I can’t wait! I’m almost done with Cin-Ru’s hat. I worked on it while with my knitting group this morning but had to stop because I needed to switch needles and left the DPNs at home. Whoops. 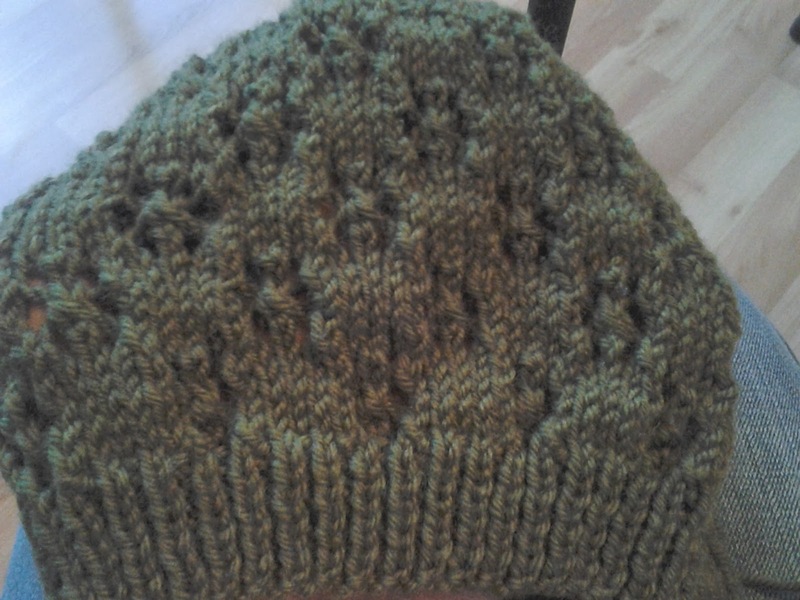 All I have left are a few decrease rows and this hat will be complete. I really like how the hat is turning out. I’m going to knit myself one in purple so that we have matching hats. Like mother, like daughter. Mother. Daughter. Those two words make me want to cry with joy. 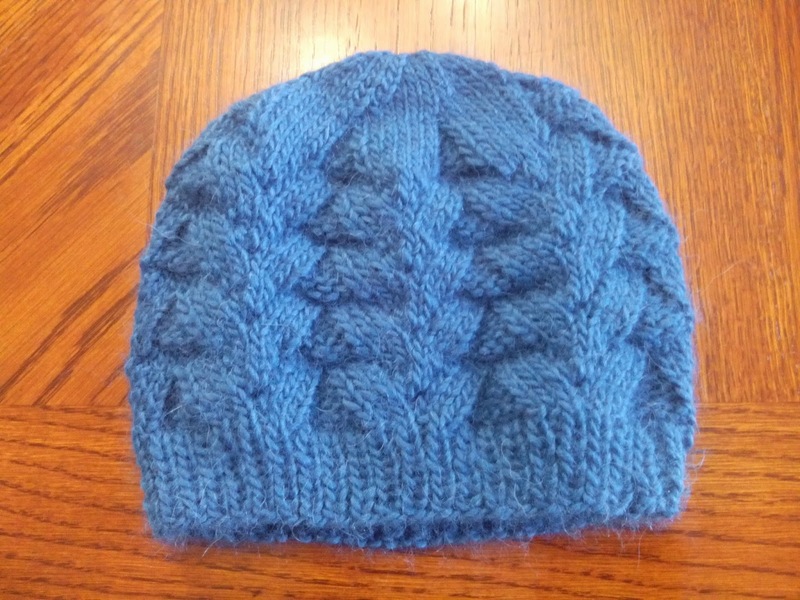 When we discovered that Cin-Ru’s favorite color is blue, I decided to knit her a hat! We sent her a letter last week, in which I told her that I had started a hat and asked if she would prefer I mail it for her birthday or bring it with me when we meet in Taiwan. 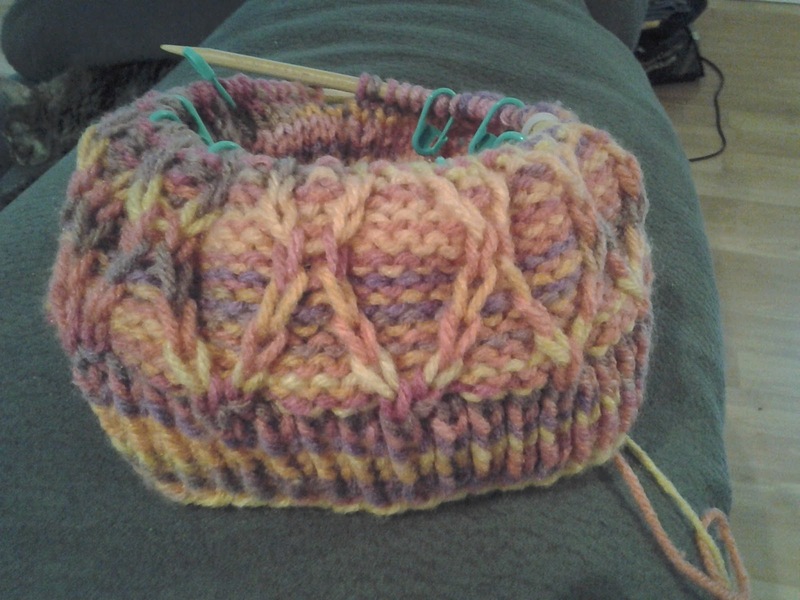 I promised that I would show her the hat progress on the next Skype call (this Sunday afternoon!) so I have to knit fast and furious to make sure the hat actually looks like it will be a hat! 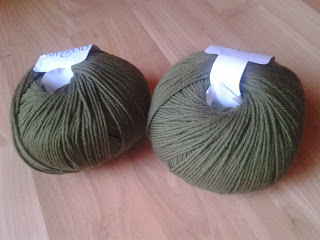 This is the lovely yarn I found. 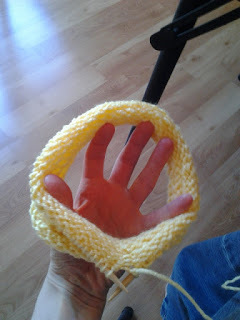 And here is the very beginnings of her hat. The ribbing is done for the brim and I am over half done with the first of four repeats. 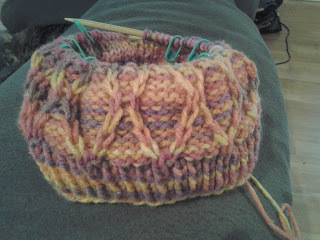 I don’t aim to finish the hat before Sunday, but I would like to be at least half done. I have a lot of work to do! Well, I’m not actually knitting for Thailand. I finished a knit project for a specific young lady in Thailand whom I have gotten to know through letters over the past year. I hope she likes what I’ve knit her. 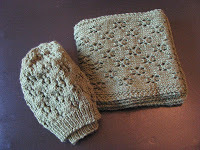 I will be mailing these off tomorrow, along with a couple of pictures of me knitting them. I’m afraid to say that I’m too shy about being photographed and have not yet sent any pictures of myself to my sponsored kids. I do send them photos of other things, just not of me. But my Thai girl asked for a photo in her last letter so I’m sending her one. I guess it’s only fair, as I look forward to her upcoming photo update! The sponsorship trip is in just a couple of weeks. I am so, so, so grateful to the sponsor who offered to deliver my gift. If it wasn’t for her, I’d never be able to send anything more than paper. And while studies have shown that the sponsored kids are most encouraged by the words we write, it’s a blessing to be allowed to send something I made and prayed over especially for her. I’m so excited! Another Compassion sponsor has offered to hand deliver a small package to our sponsored girl in Thailand. I’m knitting her a hat and scarf! The hat is almost complete, other than seaming up the back side. 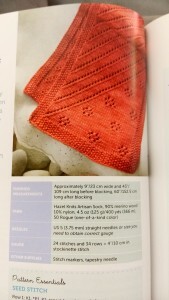 I wish it had been written to knit in the round, but the pattern said knit flat and seam. All that’s left is the seaming! 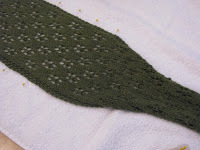 I’ve also started on the scarf but there isn’t really enough to show yet. I’ve been praying while knitting for her. I know our girl’s favorite color is green; I hope she likes the hat and scarf! Stitch ‘n Pitch! 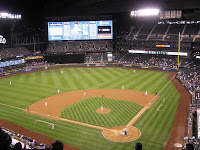 Every year, the Seattle Mariners host a section of knitters. 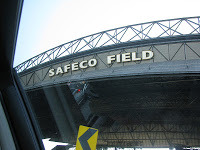 I was feeling rather exhausted from the busy-ness of the week but I’m really glad I went. 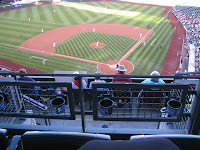 The game was so much fun! 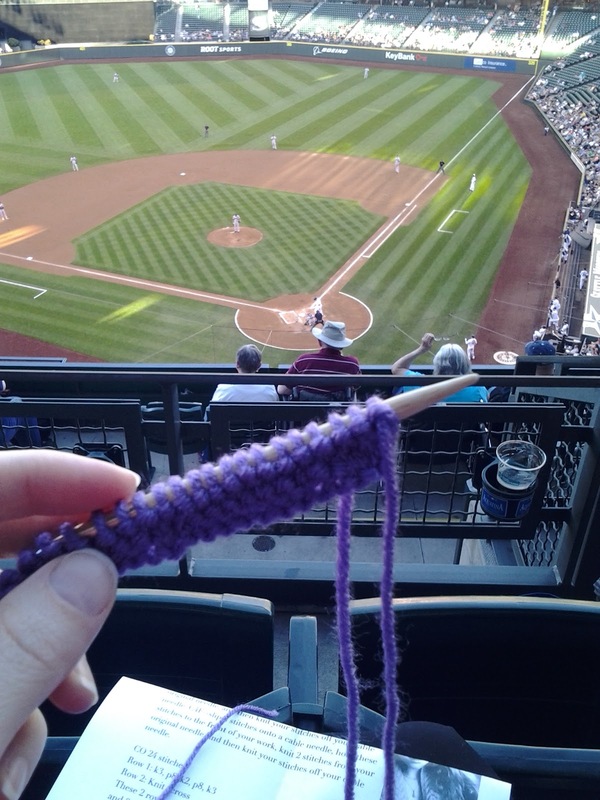 Knitting while watching a game! The evening’s bonus? Our entire row won a knitting goodie bag! Free pattern books, yarn, and some new needles. Hurray for free knitting supplies! 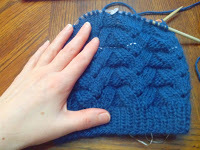 At the Eastisde Stitchers meeting, I worked on my Twisted Trellis hat. 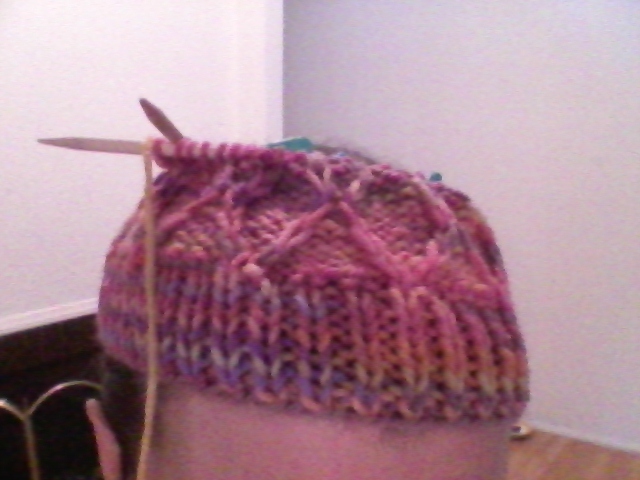 I’m not fond of the yarn color but it’s a practice hat. 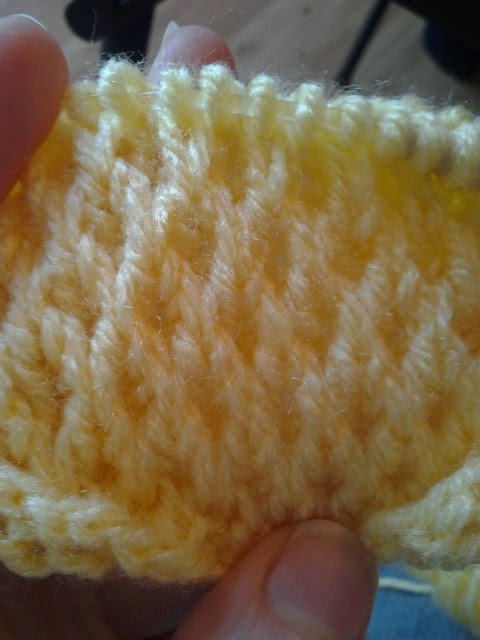 I’m learning how to make twisted stitches and several new stitch abbreviations. It’s really good practice. I can’t wait to cast on a project with smaller needles, though! The second picture is closer to the true color. I can’t remember if I mentioned it, but I’ve started attending a knitting group on Friday mornings. It’s such a wonderful break from being at home! The ladies are really nice and they are very helpful. 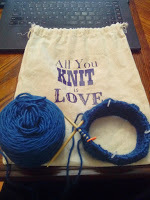 I’m one of the newest knitters in the group and people keep volunteering to help me. Last week they encouraged me to branch out of flat knitted items so I started a hat! 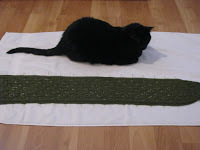 This is the Welldigger pattern on Ravelry. 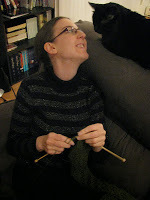 So far it’s been a lot of fun to knit! This Friday I need to buy DPNs so that I can start the crown of the hat. Fun!